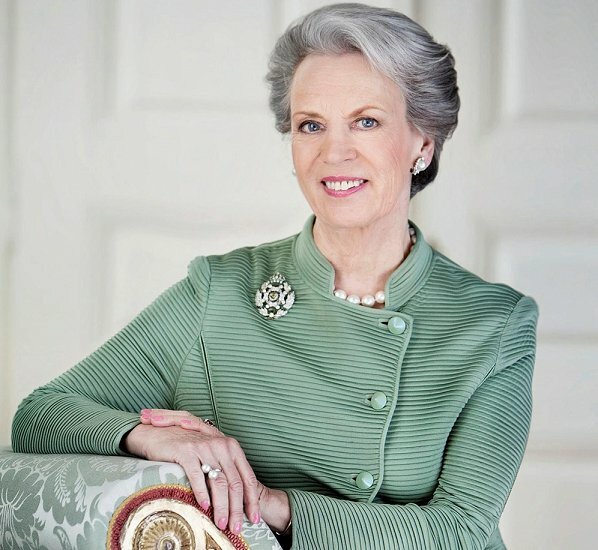 Princess Benedikte of Denmark is currently visiting India as the patron of Olave Baden-Powell Association. The visit takes place between the dates of November 13-16. Princess Benedikte will attend the board meeting of an Indian Company, Pune as the patron of Olave Baden-Powell Association. Olave Baden-Powell Association supports the initiatives of World Association of Girl Guides and Girl Scouts (WAGGGS). Olave Baden-Powell Association was established in 1984 and is under the patronage of Princess Benedikte and Queen Ingrid. Elegant and stylish Princess. Role model for the ladies of the Royal Houses of Scandinavian countries. En 1966, j'ai rencontre une jeune Danoise a Paris - nous nous sommes liees d'amitie, avons correspondu - snal mail dans le temps - pendant 2 ou 3 ans, et cette jeune fille m'a envoye une piece d'argent commemorative du marriage de Benedikte. Myriam; c'est vrai. Elle n'était pas la plus belle des sœurs quand jeune, mais est aujourd'hui. Pas de scandales dans sa vie, plutot rare de nos jours. Je me souviens de son marriage en 1968. She is a very elegant and beautiful mature royal lady. I really love her style despite her age !!! She has aged very beautifully. Although the picture here is very good portrait picture with soft ambient lightning and there is little photosop to help. But she is beautiful in normal pictures too and has good taste to clothes and jewels.